Metallic colored pencils create shimmering effects on a variety of surfaces especially dark paper. * Made with thick soft leads so they won't break easily under pressure. 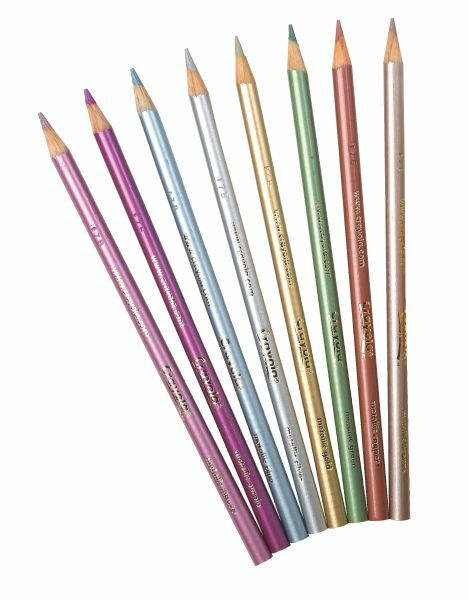 * The smooth colors are perfect for color mixing and blending as well as practicing more detailed techniques. 8.44" x 2.38" x 0.38"